Thailand’s most famous festival Songkran is held to celebrate Thai New Year, a time to come together to share food and symbolic traditions. Also known as the Thai water festival, Songkran is about cleaning, purification, and having a fresh start. Houses are cleaned; Buddha statues are carried through the streets in a procession and are washed with flower-scented water. Elders are honored by respectfully pouring water over their hands. 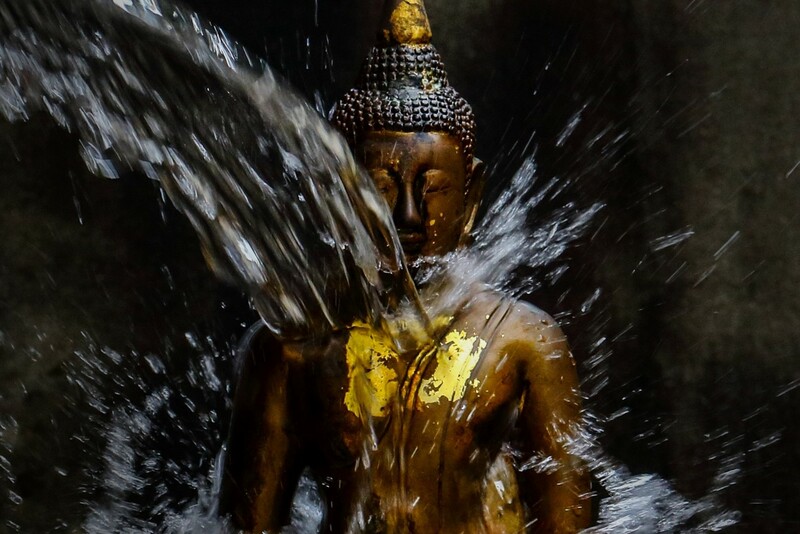 Although the true Songkran tradition is to sprinkle water on people, in Thailand its become popular to get into big public water fights to take the “blessings” to another level! Splashing people with water signifies the washing away of bad thoughts and actions. It brings them good luck in the new year. Whilst Songkran is a three day festival spent with friends and family in Thailand starting on the 13th of April, you can share the celebrations with us from the 10th April until 21st April. Bringing you two exclusive dishes for Songkran, Triple Cooked Ginger Pork and Salmon Red Curry. In the spirit of celebration, we’re offering our guests a round of drinks from us. Simply book a table enter the code SONGKRAN in the additional details box, and we’ll take care of the rest. Available at select Busaba locations. T&Cs Valid from Wed 10th – Sun 21st April 2019. You and up to 5 friends are each entitled to a free drink with a main meal each (from wok noodles, rice bowls, pad thais, char-grill, stir-fry, soup, curry, Thai salads or Songkran specials sections) Available drinks are: any cocktail, 175ml glass of house red, white, rose wine or 125ml glass prosecco, 320ml Chang beer, 330ml coke, diet coke, coke zero, 500ml water or a fresh blended juice. Must book in advance on busaba.com website with reference ‘Songkran’ in the additional details box on the final booking page. Proof of I.D. may be required. 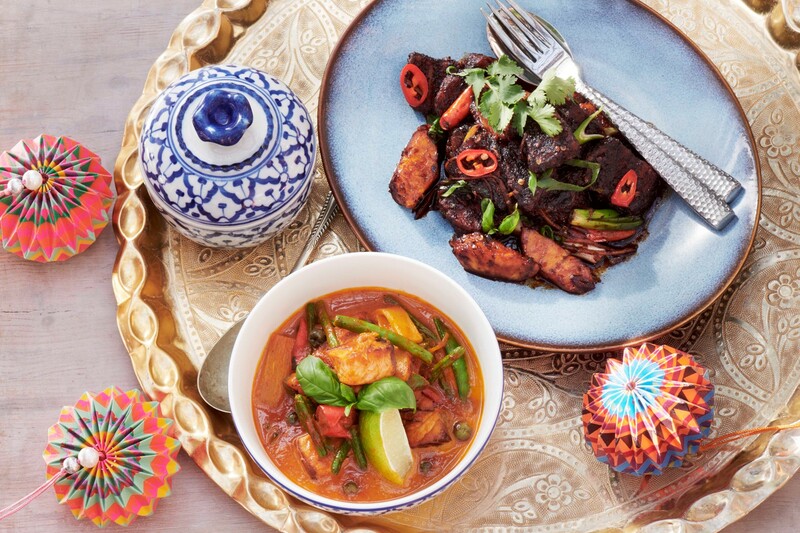 Offer not available at Busaba Kingston, Busaba Westfield London, Busaba Westfield Stratford City and on event nights at The O2. Available at all other Busaba restaurants in London. Offer valid for pre-booked dine in only with SONGKRAN reference, not valid in conjunction with any other promotion, discount, or set menu offer. Subject to availability or change and may be withdraw without prior notice. Book your table at busaba.com.